Top Chef is rated 4.2 out of 5 by 18. Rated 5 out of 5 by cocofrog from Very Good Game Based On TV Show. One of my top favorite games to play. The game is great and just like the TV show. Once get past a few rounds the challenges do get harder. Fun to play and you will get hooked!!! Rated 5 out of 5 by Sunflowers22 from Fun and Different This is probably my favorite time management game. It's challenging and a little different from the usual tm games. Rated 5 out of 5 by PurpleHoney from I loved It!!! I love cooking games but this is by far my favorite. I liked the storyline and i was never bored ( so much i was actiually hooked for hours). It's great anyone would love it. Rated 5 out of 5 by bri_13 from Cooking strategy + time management= A++++ You learn flavor combinations and time management to prepare the dishes and become top chef. For anyone who enjoys cooking shows and strategy/time management games! My favorite game of all time! 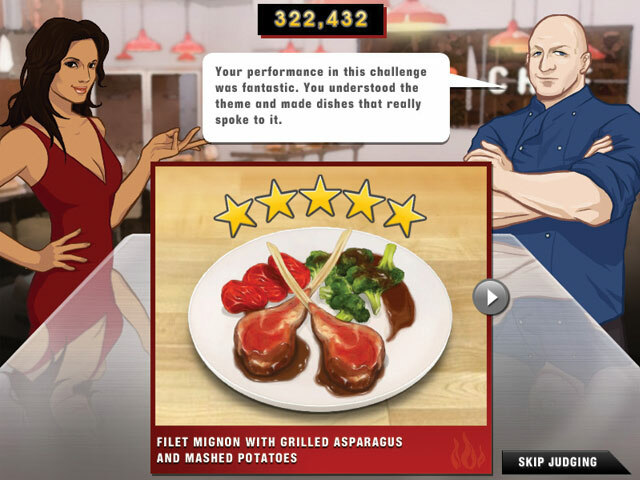 Rated 5 out of 5 by lorishere1 from One of My Favorite Cooking Games In the Top Chef game you are the challenger on a TV cooking challenge just like in the real life TV show. There are several cooking challenges and then you are judged after your dishes based on a 5 star rating scale. You can either make it to the next round or will be told to "pack up your knives" which you get sent home but you can still retry the challenge without losing your progress. 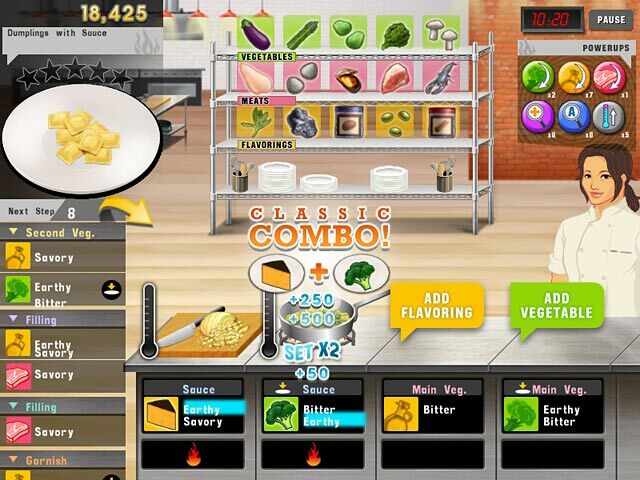 I like that in these cooking challenges you have ingredient options to choose from so each dish is your on creation. The only thing I didn't like about this game is no matter how well or badly you do..the storyline doesn't change. 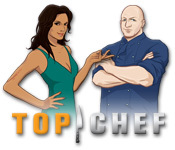 So if you got Top Chef one round it won't reflect in the words between characters. Overall this is a great game and one of played more than once. I would like to see another one come out. Rated 5 out of 5 by MomsLife from One of the best Time Management games ever I am a huge fan of time management games, and this one tops them all. I usually get bored quickly with a game once I have 'finished' it, but I still play this game even after completing all the levels...it's different every single time that you play. Fun to learn and try combinations of ingredients and challenging to try to put that to the test. Great game...you'll be hooked! !